Here we are starting another new year! This is the most popular time for motivation to change or revamp our lifestyles. This is also a great time to revisit our health and wellness habits and see what can be done to make a positive change. I am going to workout five days at home (Tuesday-Saturday) for 30 minutes each day rotating between cardiovascular activity and strength training. Here is more information and specifics for setting your SMART Goals. It can be confusing to figure out how and where to start to make a change. Regardless of what goal you want to accomplish, you need to do your homework and enlist some help. These resources can be online, in the community, a person or group of people or any combination of the above. Smoking cessation: QuitNet, American Cancer Society — These feature online communities, resources and tools to quit smoking for good. Weight loss: Choose My Plate, Spark People and Fit Day — These resources will help you determine how many calories you should consume and offer tools like an online journal that you can track your food intake and progress. Fitness: Free Trainers, Workoutz — These provide videos and photos on how to properly perform a specific exercise. Remember to check with your physician before starting a workout routine. If you have Blue Cross Blue Shield of Michigan or Blue Care Network insurance, check with your plan to see what benefits you have under Blue Health Connection. It can be overwhelming to make a change, and it takes about 21 days for a new habit to form or to get rid of a bad habit. I would suggest making one or two changes at a time and really accomplish them and feel comfortable with them before moving on to a new goal. I love The Biggest Loser TV show. 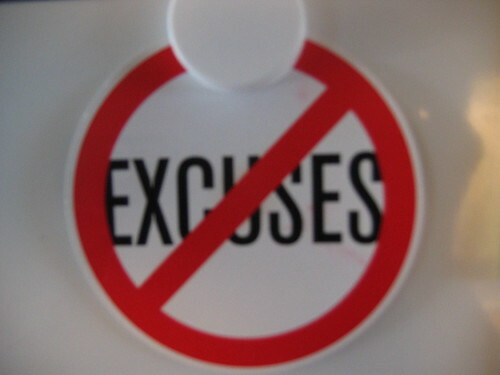 This season, the mantra is “no excuses.” Let’s make this the year to eliminate excuses and really accomplish what is in our hearts and minds. Here’s to a healthy and happy year! What resources do you use to reach your health goals?